I hope all of you are having a Happy Halloween! 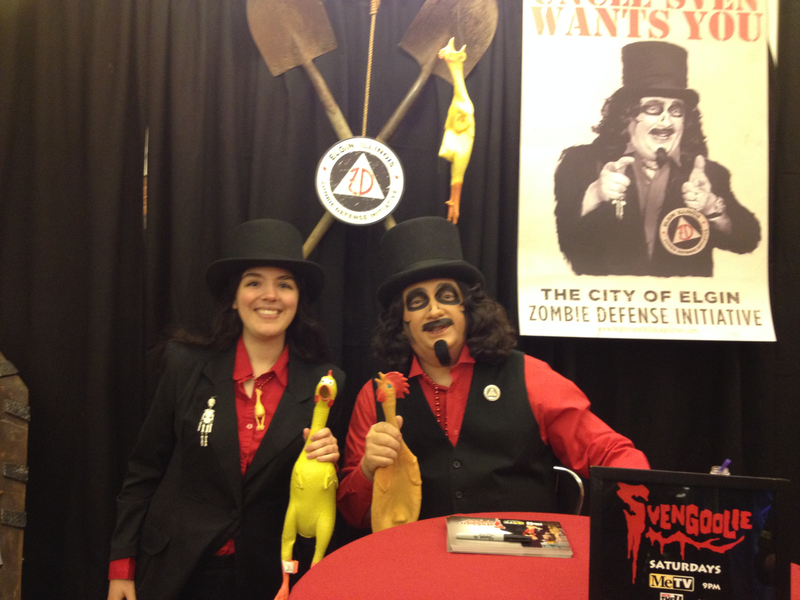 In the spirit of the season (pun intended), I’ve put a couple of pictures from recent Svengoolie appearances after the jump! 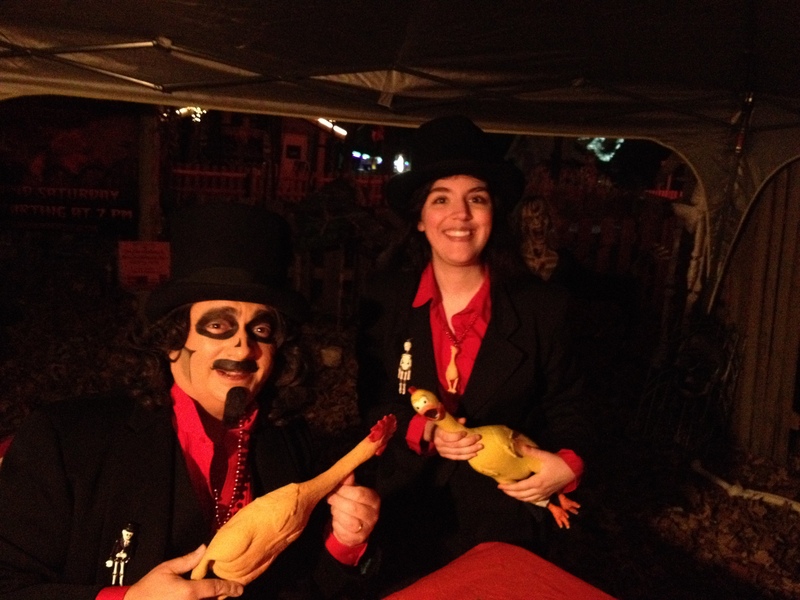 Neither rain nor cold could keep Svengoolie and his fans away from Santa’s Village on October 19! … And a zombie invasion didn’t deter Sven and his fans from going to Nightmare on Chicago Street on October 26! This entry was posted in Halloween, Svengoolie and tagged Halloween 2013 on October 31, 2013 by Jamie Lee.